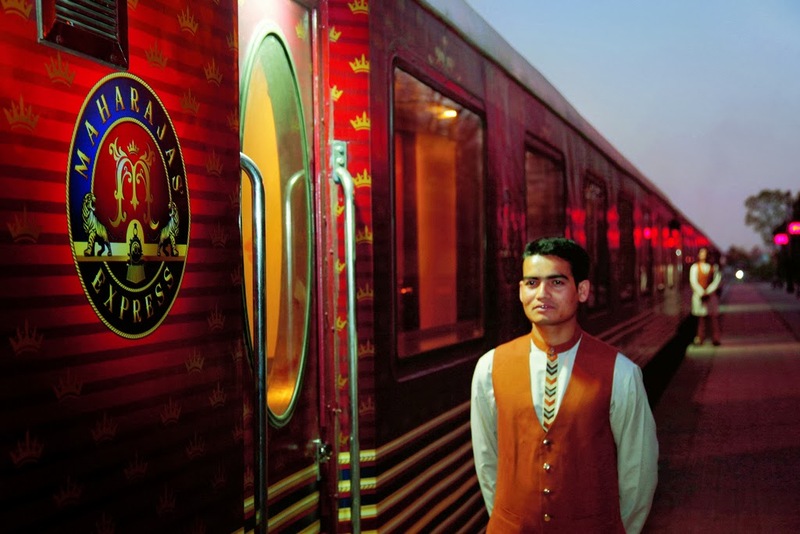 There are many ways to journey in India, but no one is as royal, luxurious and exciting as a luxury train. Suffused with the luxury of all kinds, these journeys present the most coveted way to travel in the country. Inspired by the lifestyle of the royals, these trains fill the journey with great excitement and fun. Thanks to its lively hospitality and genuine cultural reflection that makes it an experience to last for a lifetime. The special experiences begin with even before boarding the luxury train. As a guest enters the designated railway station, he / she witness the reception in a true ritualistic Indian style. The women in finery apply tilaka or red vermillion on his / her forehead and offer aarti, welcoming the guests. Another reason behind this ritual is to mark the welcome of the guests on this royal journey with auspiciousness. As the formalities to board the luxury railway completes and the guests get ready to board the plush rail, they even receive the mighty assistance of the turbaned khidmatgars. They in every possible way make sure that the guests feel comfortable aboard the train. Be it porting or any time requirement onboard, these attendants work ardently towards the guests. After the check in towards the elegantly furnished suite, the passengers experience awe and wonder for the ambience. Modeled on the priceless palaces, these royal suites evoke the glorious fascination amongst the travellers. The silken bedspreads, intriguing paintings, classy wooden furniture – all narrate the glorious times of royals. Same intriguing facet of royal life is brought to life within the restaurants exuding fine dining experience par royal standards. Serving palatable mix of flavours and colours created by renowned chefs, these restaurants define the wholesome dining experience in the most luxuriant way. 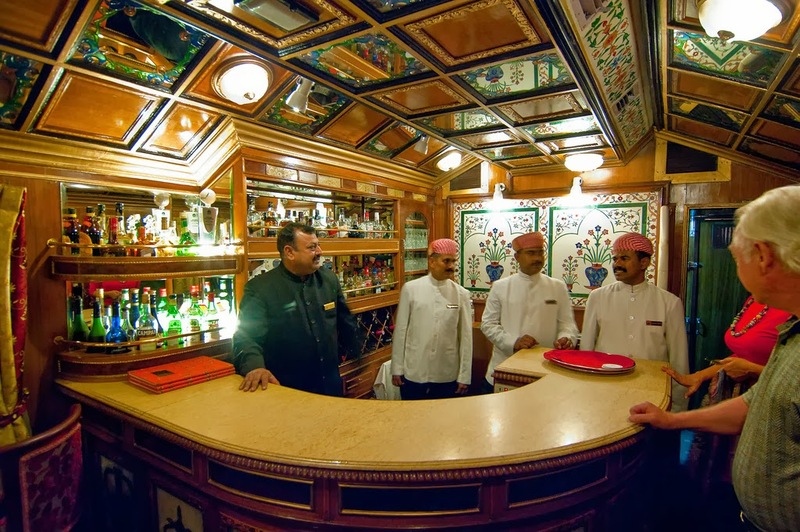 There are special bars aboard the train which spirits up the passengers in the ultimate style. The bar cars accommodate the priciest collection of bars and beers to uplift the senses. Another unique experience included onboard is the spa and gym car. After the day’s excursions, the passengers can optionally revitalize into the pampering and comfort of wellness saloons before retiring to bed. All these comprise the priceless moments aboard the India luxury Train.